We deliver safety, quality & efficiency. We are currently a leading contractor in NSW for all road maintenance, civil and plant hire services, setting the industry standard in safety and delivering the highest standard in workmanship.We believe in a "on time, on budget" approach for all our projects and strive to do exactly that complete every project on time and on budget ensuring client satisfaction from start to finish. T&S Roadworks have proved to be one of the best and most reliable contractors in the industry. Their quality, commitment and attention to detail gives me the peace of mind that the job will be done to a high standard. I’ve enjoyed working with the level of professionalism and work ethic and look forward to the next opportunity to work together. 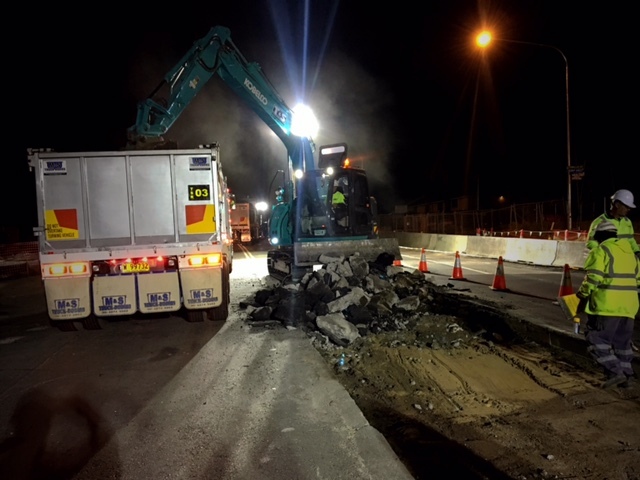 T&S Roadworks are one of the most outstanding contractors i have had the pleasure of working with during my time in downer Edi Works.